When it comes to exercising biceps, in some exercises there are certain body movements capable of mingling with the work of the mucles in target. For instance, when you are exercising the classic barbell curl standing up, the body can swing a bit front to the back because of the weight of the barbell and bare physics laws. Doing a Preacher Curl only the Biceps are playing the game. Sit on a Preacher Bench which you should previously according to your height. The seat should be adjusted so that the knees form a 90 degree angle with the floor or the static bar on the bench (depending on the machine’s structure). 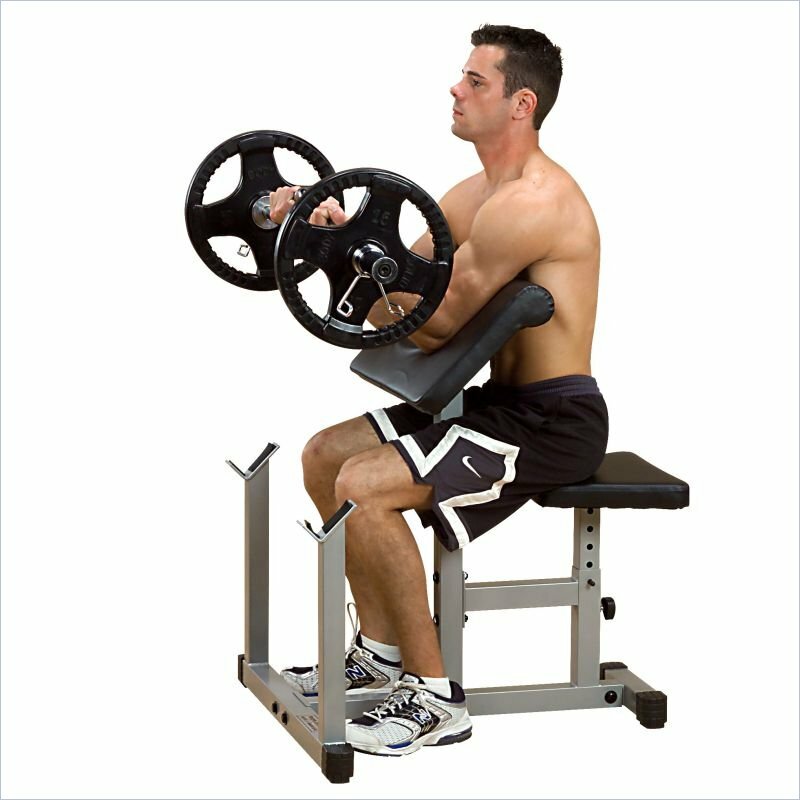 When doing the curl, there should be enough space between the lowered barbell and the rack on which the barbell was previously set. 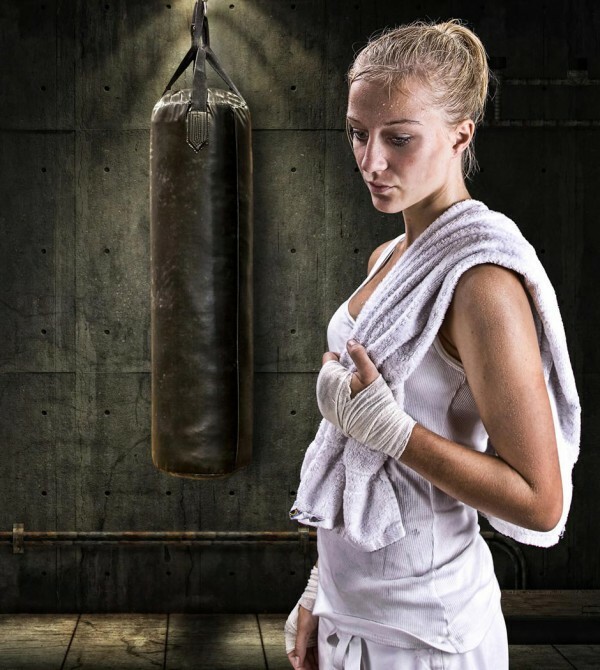 You don’t want to hit the rack with the hands when exercising. After you have positioned yourself on the bench, grab the barbell and place the upper arms on the mat. 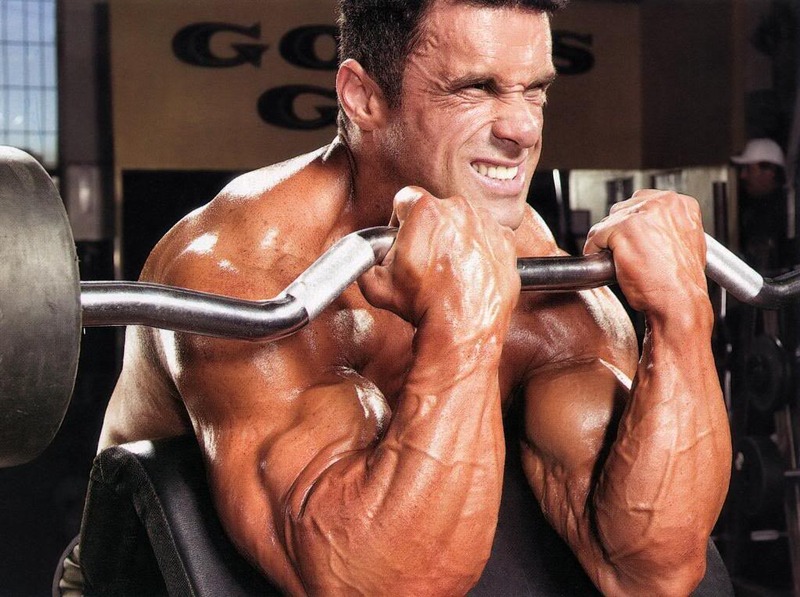 Concentrate on doing a normal bicep curl using only your biceps. This exercise isolates the biceps from everything else and you are lynched from the body swing which can be quite a distraction. Make 3 sets with 12, 10 and 8 repetitions (this is a default setting). It is very important to pay attention to the weight gap in-between sets. You really don’t want to push very hard when it comes to these exercises. The biceps are the only muscles that are doing the work and they don’t need too much weight in order for them to increase volume. Some people prefer to watch themselves in the mirror when doing this exercise. The look on the biceps pumping is quite the sight for sore eyes; it gives addition motivation. But, sometimes, the best result that you can get is when you don’t look in the mirror; Close your eyes and concentrate on the exercise. This is able to take the best of the exercise. Another tip for the preacher curl is to make it first on your schedule. The initial pumping will give muscular building boost which later you can finish it with some cable curl exercises or normal dumbbell curls with less weight.